Soap making clamshells and cups are a mold and package all in one! 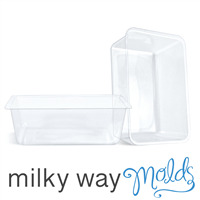 Simply pour your soap into the clamshell or cup and after it has hardened, apply plastic back and label (for clamshells) or place it in a cello bag (for cups) before selling or gift giving! 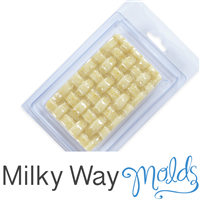 The Break A Way Clamshell Mold has a chocolate bar-like design that is perfect for soap, wax tarts, sugar cubes and more! Holds 2 oz soap or wax. Makes (1) bar that is scored to break into 6 squares. 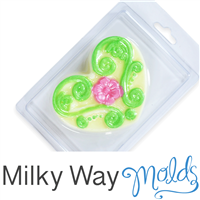 Our Celtic Heart Clamshell Soap Mold is a heart shaped mold with a Celtic design. Use for packaging as well as pouring! Holds 2.9 ounces. Made in the U.S.A. 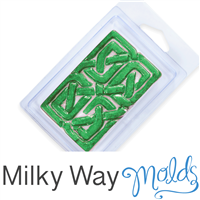 This Clamshell Soap Mold is rectangular with a Celtic design. 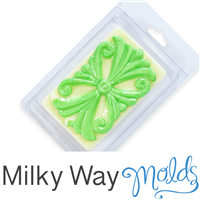 Use our Celtic Rectangle Clamshell to pour and package soap and lotion bars! Holds 3.25 ounces. Made in the U.S.A. 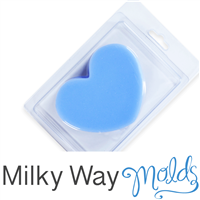 This package is great for holding soap cupcakes, bath bombs and more! 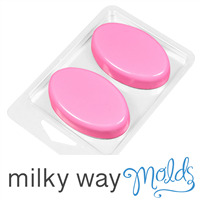 Pack includes 6 clamshells with a top and bottom as well as six pink and white circular stickers. 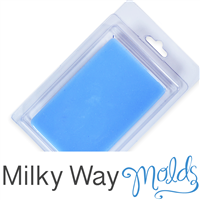 Clamshell Dimensions When Closed: 4.25" x 4.25" x 3.25"
This mold and packaging combo is ideal for guest soap, travel soap, or lotion bars! One set includes one front and one back. 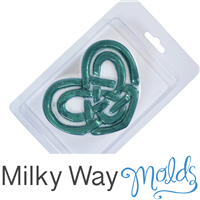 The two oval mold cavities are on the front piece and the hanging hole is on the back piece. Bars Measure: 2 1/4" x 1 3/8" x 1/2" deep. Makes (2) 0.70 ounce bars. Holds 2.95 ounces. 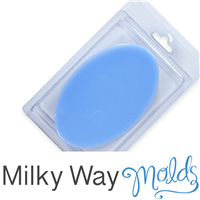 Made in the U.S.A.
Make an easy Oval shaped soap with this plastic clamshell mold. Great for travel! 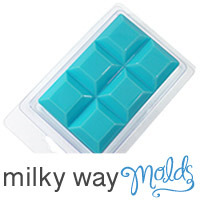 Create a classic bar of soap with this Plain Rectangle Clamshell mold. Simply pour, label and distribute! Holds 3.85 ounces. Made in the U.S.A. 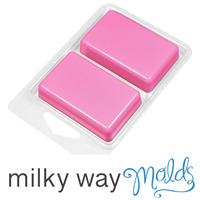 This mold and packaging combo is ideal for guest soap, travel soap, or lotion bars! One set includes one front and one back. The two rectangle mold cavities are on the front piece and the hanging hole is on the back piece. Makes (2) 0.86 ounce bars. 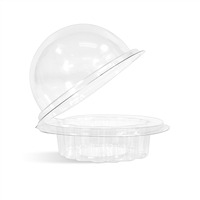 Our Round Clamshell is a mold and packaging all in one! Simply pour soap, let harden and place on lid. 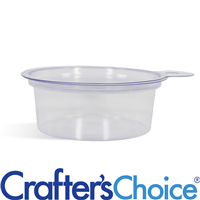 This soap clamshell is popular for fish in a dish soaps! DO NOT PLACE IN MICROWAVE. 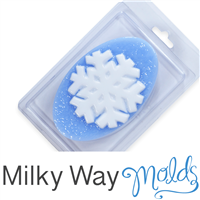 Material: Plastic Bar Depth: 1"
Create quick and easy bars of Snowflake Soap with this clamshell molds! 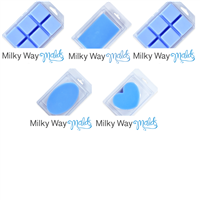 Great for winter time soap and lotion bars. You Save $5.61 buying these items as a kit. 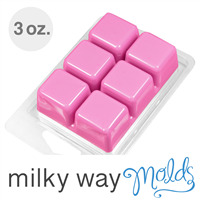 Use this Square Cubes Clamshell for toilet tabs, bath fizzies, soap, lotion bars and much much more! Holds 3 oz. soap or wax. 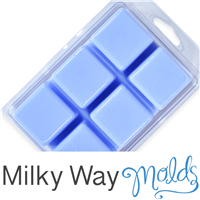 Makes (6) 0.5 oz cubes of soap or wax. Our Victorian Heart Clamshell has a Victorian Design with a flower in the middle. 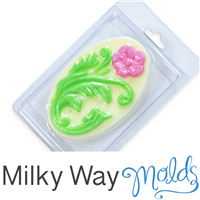 Use this beautiful lotion bar/soap mold as packaging too! Holds 2.75 ounces. Made in the U.S.A. Holds 3.20 ounces. Made in the U.S.A. This rectangle clamshell mold has an elegant Victorian design! Holds 4 ounces. Made in the U.S.A. 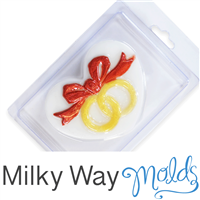 This clamshell mold is heart shaped with two overlapping wedding rings tied together with a bow. Great to make soap and lotion bars for guests at a wedding!